This is basically an ECM fan motor (see below) but with the addition of a CONTROL BOARD that allows the technician to FINE TUNE AND ADJUST THE CFM UNIQUE TO THE STATIC DESIGN AND EQUIPMENT THAT IS INSTALLED IN EACH HOME and somewhat compensate for changes after initial installation due to upgrades or add-on’s. Significant reduction in Hydro consumption levels can be achieved. The fan operates quieter, and airflow levels can be set SPECIFICALLY for optimum heating efficiency and comfort levels. Cooling airflow can be adjusted for OPTIMUM HUMIDITY REMOVAL during the cooling season, and the continuous low speed fan provides low cost air circulation decreasing temperature variances on multi-level homes during operating off cycles. This system is the best choice as the value of the option, in increased comfort and DECREASED HYDRO CONSUMPTION OVER THE ENTIRE LIFE SPAN OF THE EQUIPMENT far outweighs the small initial cost. The ECM (Electronically Commutated Motor) uses significantly less energy utilizing a built in DC voltage conversion system. Due to the factory programmed set-points in the motor, the air flow remains constant regardless of external static pressure. THE MOTOR WILL AUTOMATICALLY ADJUST SPEED AND TORQUE LEVELS to maintain FACTORY design air volume.The ECM motor maintains efficiency at all speeds and reduces the amount of electricity consumed in comparison to other motors. In addition, especially in cooling mode, the temperature of the motor is constant and typically at or near ambient temperature which means during summer cooling cycles, the system does not also have to overcome the heat generated my the motors operation. Note: Because the fan maintains factory design air volume, the furnace and fan sizing must correctly match the static system design at time of installation – this means if system upgrades, add-on’s, ductwork modifications after initial installation are made, the airflow may be incorrect, or if this fan system is installed on an existing ductwork system, it may be difficult or no possible to set the fan up as well as can be achieved using the Variable Fan (above), combined with proper adjustment may overcome this issue. 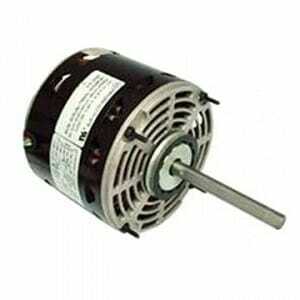 The PSC motor, (Permanent Split Capacitor) more commonly called a Direct Drive or Induction Motor. Induction motors, typically use alternating current (AC). This motor holds operational characteristics, which also generate excessive heat greatly contributing to the degraded operational efficiency of PSC motors (which are at best only 60 percent efficient). 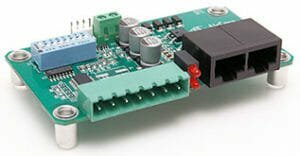 However, since there are few mechanical components, this design has proven to be very simple and reliable, and can be manufactured at a relatively low cost however offsets higher operating costs to the end user, compared to ECM motors. The operating temperatures of the PSC motor ranges from 90-170 F. This means in the summer, the air conditioner that uses the PSC motor, must also overcome the heat generated and added to the system by the PSC motor itself, while the heat added to the system with the high efficient ECM motor is nil to none. Because of the motor’s design, there are some disadvantages inherent in PSC motors. For example, PSC motors are significantly less efficient than constant torque or ECM 2.3 motors because they consume more watts, making them more difficult for a manufacturer to apply to a high-SEER system design. On average, they are not ideal for continuous fan operation because they run close to full speed when applied in this manner, using more energy than this function really requires.